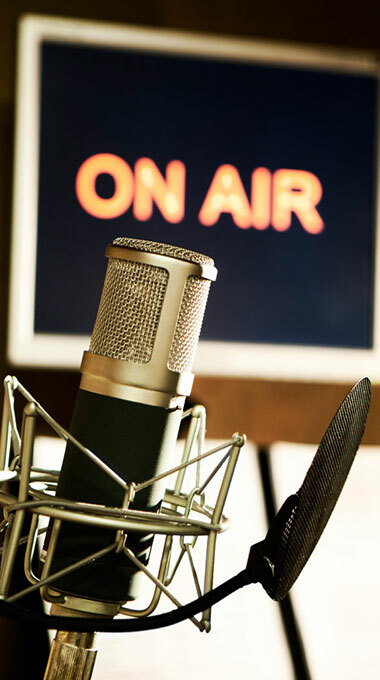 GCRN is the association of Community Radio stations and initiatives in Ghana. The association was formed in December 1999. GCRN aims to enhance the use and build the capacity of community radio to enable marginalized communities and groups to generate and share their knowledge and experience, to participate in discourse and decision-making at every level, to develop the richness of their culture, and to strengthen their communities as part of the national and global family. To support its members in the realization of their common vision of community radio. To promote the growth of participatory, community-driven, community radio in support of development. To facilitate the development of an enabling environment for such community radio. To facilitate the inclusion and active participation of key marginalized groups, such as women, youth and children, in all aspects of the operations of member stations. To undertake advocacy, networking, training and any other activities in keeping with its aim and objectives. GCRN is deep in its participatory Community Radio philosophy and practice, but the regulatory environment has kept its numbers small. Currently, it has 19 members on-air. They serve communities in 8 out of the 10 Regions of Ghana. Between them, they broadcast in 16 indigenous languages, including many that would otherwise leave their communities un-voiced. In addition, GCRN counts 12 Community Radio initiatives. These are initiatives that are awaiting their frequencies. Once they get on-air, the remaining two Regions would have at least one Community Radio station. They serve communities in 8 out of the 10 Regions of Ghana. Between our 19 on-air stations, they broadcast in 16 indigenous languages. The association was formed in December 1999. The application for a frequency submitted by Radio Ada on 15 March 1995 to the then Ghana Frequency Registration and Control Board (GFRCB), now the National Communications Authority (NCA), formally introduced the concept of Community Radio to Ghana. Two months previously, in line with the effective deregulation of broadcasting by Chapter 12 of the 1992 Constitution of the Republic of Ghana, GFRCB invited applications for frequencies to operate independent, or non-state, radio broadcasting stations. In July 1995, 10 commercial radio applicants were granted frequencies. Despite meeting the application deadline and requirements, Radio Ada was not granted a frequency at the time. Subsequently, Radio Progress and Radio Peace also submitted applications for frequencies to operate Community Radio stations. These three stations, Radio Ada, Radio Peace and Radio Progress, would become the first three Community Radio stations to go on-air in Ghana. Radio Progress went on the air on 17 February 1997 as an “experimental” station and progressively upscaled to a full Community Radio station beginning 1998, broadcasting mainly in Dagaare. Radio Ada went on air on 01 February 1998 as a full-fledged Community Radio station broadcasting 17 hours a day exclusively in Dangme. Radio Peace started full-scale on-air operations on 01 September 1999, broadcasting predominantly in Mfantse (Fanti). The next big push for Community Radio was a seminar in September 1999, organized with the support of the UNESCO Division of Communication. International community media specialists shared their experiences with the then three on-air Community Radio stations, the few known Community Radio initiatives and a handful of on-air rural commercial radio stations that had been identified as development-oriented. The seminar ended with a recommendation from the floor to form an association of Community Radio stations. After a further two workshops supported by the Ford Foundation West Africa office, the Ghana Community Radio Network (GCRN) was launched at Radio Ada on 04 December 1999.